Get those brushed metal surfaces back in shape with the right materials and these tips. 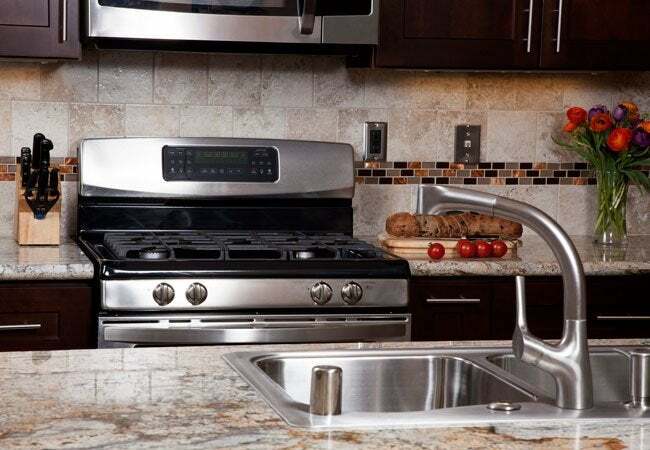 From sinks to appliances, counters to cabinet hardware, stainless steel remains a popular kitchen trend, favored for its sleek look and durability. Yet, sturdy as it is, stainless can acquire unsightly scratches in the course of everyday activity. Fortunately, it’s totally possible to minimize these signs of wear and tear, even successfully remove scratches from stainless steel altogether. Look close and you’ll see that stainless steel has brush marks on the surface—this is called the grain, a result of the manufacturing process. Whichever scratch removal method or product you use, it’s essential to rub only in the direction of the grain; go the wrong way, you’ll worsen the problem. Note: Do not apply the techniques described here on stainless that has a protective clear coat or synthetic surface applied, or you’ll do more damage. 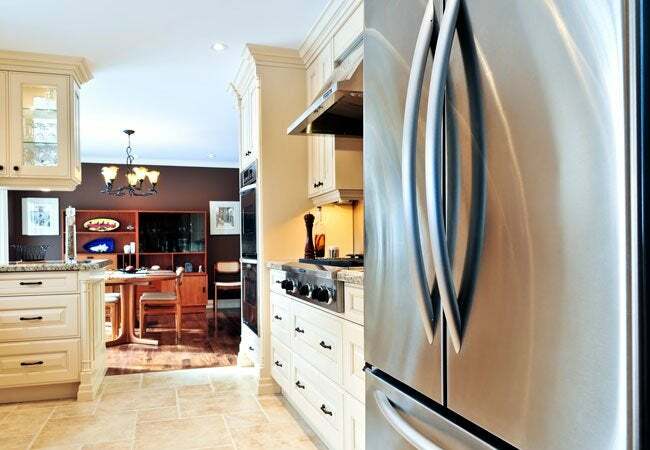 With those caveats in mind, collect your materials and start restoring your stainless steel. It may not come out looking brand spanking new, but it will certainly revive the appearance of your kitchen and keep it that way for years to come. Use a non-abrasive compound such as Bar Keeper’s Friend or Revere Stainless Steel and Copper Cleaner. (In a pinch, you can even use whitening toothpaste). 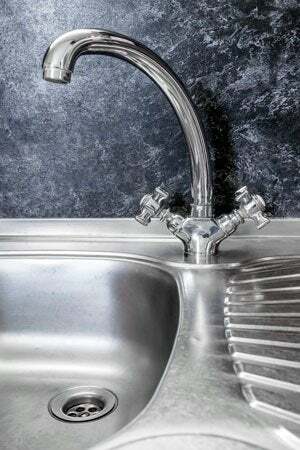 If you’re using a powdered stainless steel scratch removal compound, add enough water—a few drops at a time—to create a paste roughly the consistency of toothpaste. If your compound of choice is cream-based, proceed to the next step. Apply a small amount of the scratch remover compound to a microfiber cloth and then very gently rub it back and forth over the scratch, working in the direction of the metal’s grain. Continue until the scratch buffs out. Gently wipe the surface with a fresh, barely damp microfiber cloth to remove any compound residue. Dry with another fresh microfiber cloth. Repeat Steps 2 and 3 if needed to completely remove scratches from stainless steel surfaces. For larger imperfections that cannot do not respond to the compound, use a stainless steel scratch removal kit such as Scratch-B-Gone or Siege Stainless Steel Sink and Cookware Scratch Remover. Scratch remover kits generally contain a polishing compound and a set of abrasive pads. You’ll work from the coarsest grit to the finest to remove scratches from the stainless steel and restore the surface. Be sure to follow the manufacturer’s directions specific to your kit. Read through the manufacturer’s instructions completely. Identify the direction of the grain in your stainless steel. Starting with the appropriate grit pad recommended for the specific scratch you aim to banish, rub the scratch with the grain, in one direction only—going back and forth with an abrasive could cause unattractive circular marks. Use only as much pressure as is needed to remove the scratch; don’t be overzealous or go deeper than necessary. Move to a smoother grit pad, if recommended by the manufacturer, and continue the buffing process, adding water, or any compounds included in the kit, as called for. Wipe the surface down with a microfiber cloth to finish the process, buffing the steel to a clean shine. To keep your metal surfaces looking new, avoid using abrasive substances or steel wool for regular cleaning and maintenance. Protect your stainless steel sink with a rubber dish mat when washing heavy pots or cast iron. Just be sure to remove the mat when finished washing up so that water won’t remain trapped underneath, where it can cause discoloration.